Do you have any products for Noseeums that can be dispersed using a propane fogger? Small hand held propane foggers require oil based mixtures and most “over the counter” formulations found at big box outlets are costly and weak. At the professional level, there are a couple of strong options that will perform well on flying insects like NOSEEUMS, MOSQUITOES, GNATS and more. 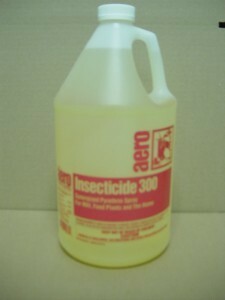 The first is INSECTICIDE 300. 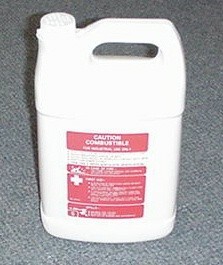 This formulation is ready to use and requires no mixing. It uses a .3% pyrethrin active which is quite strong. One gallon pumped through a thermal propane fogger can usually handle 1-2 acres. 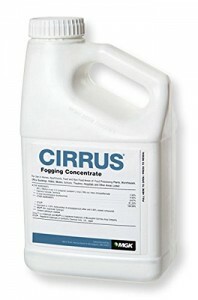 If you have a lot of treating to do, consider getting the highly concentrated CIRRUS. To use this concentrate, you’ll need to get DEODORIZED OIL as the base for the mixture. Add 4.5 oz of Cirrus per gallon of Deodorized Oil and like Insecticide 300, expect to get 1-2 acres of coverage per gallon. You’ll need base oil carrier if you go with Cirrus. Over time, Cirrus will save you quite a bit cost wise. Compared to Insecticide 300, the finished cost per gallon is about half as much ($30.00 compared to $60.00).